Memoranda (memos for short) communicate information within an office, transmitting brief messages of a paragraph or two or short reports or proposals. Their function is either to convey information or to persuade. A memo has the following basic parts: the heading block, the body, the conclusion and miscellaneous information. The heading block contains "DATE," "TO," "FROM," and "SUBJECT" (or "RE") indications, usually written in all capital letters. The date should be complete and current. "TO" and "FROM" indications will give the names of sender and recipient(s) and their titles as well. The sender usually signs or initials a memo next to the "FROM" indication. The "SUBJECT" indication tells what the memo is about. It should be brief (usually no more than a line and a half) and should begin with the most important noun. 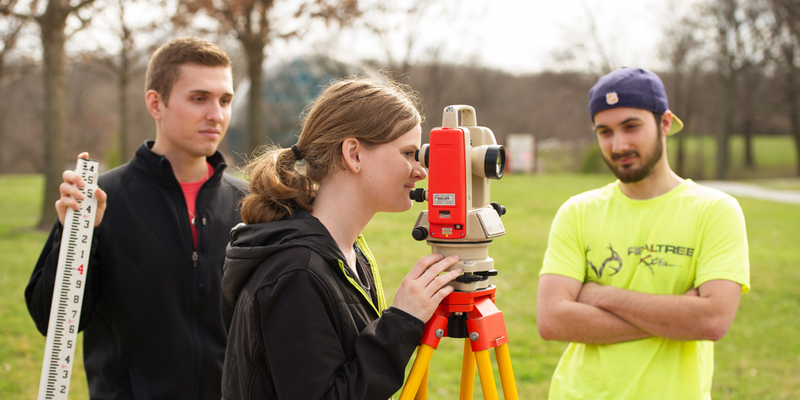 Avoid long beginnings like "A study of the feasibility of building a golf course on the SIUE campus." Say instead, "Golf course at SIUE: results of a feasibility study." This second form lets a reader see more quickly what the memo is about. Furthermore, memos are often kept on file, and a memo filed under "Golf course" will be much easier to find later than one filed under "Study." The body is the main message of your memo. It should begin with a purpose statement containing key words that immediately convey your message. This statement should include a word that clearly defines your intention - for example, evaluates, proposes, questions, reports, describes, or presents. If you are having trouble putting the purpose statement into words, consider whether you have clarified the situation. You may need to do more planning before you're ready to write your memo. Make the nature of your memo clear in the opening paragraph. Are you introducing an accompanying report? ordering something? asking for information? The first paragraph summarizes your conclusions. The rest of your memo tells readers how you arrived at your conclusions, backing them up with facts and figures. You should quickly get to the point, give whatever information the recipient will need in order to respond usefully to your memo. Often each paragraph of a memo has a heading that identifies its subject. Do not include any unnecessary information. The body is usually typed single-spaced, with double-spacing between paragraphs. If you are lining up the blocks of your memo with the left margin, the paragraphs will not be indented. They are already marked, after all, by the double spacing. For easy reading, put important points or details into bulleted lists rather than paragraphs when possible. Be careful to make lists parallel in grammatical form. The conclusion of your memo should contain a detailed restatement of your conclusions or recommendations. If the memo's purpose is to persuade your readers of something, you should include a list of recommendations. Be sure to indicate what action, if any, you want from the reader and by what date it is needed. The miscellaneous information in a memo, if any, would normally be placed at the end of the memo. When people other than the primary recipient are to receive copies of the memo, a distribution list may be included; or it may indicate that there are enclosures or attachments. References to other communications or related projects may also be included. Write (primarily) short sentences. Many sentences can be shortened by eliminating wordy and redundant phrases. Others can be broken into shorter sentences. Use short sentences most of the time. However, too many short sentences in a row can make your writing appear choppy. Sometimes, a number of short sentences can be combined to produce a more fully developed thought. Break up your copy into short sections. Readers rebel against large chunks of type. Whenever possible, break up longer paragraphs into shorter ones. Try to keep the paragraphs under 10 lines, because short paragraphs are easier to read. Paragraphs should guide the reader through your report as each paragraph covers a topic, and a new paragraph indicates a new topic. Use headings. They help organize your material into short sections. A number of paragraphs may be related to a certain subject. In this case, headings act as labels to group the paragraphs together. Headings should grab the reader's attention. Use them to let the reader know the main point in the section. Headings group related items together in one section, and make the copy easier to read. Delete unnecessary words, phrases and sentences. Not everything you write will add meaning to your document. Your readers' time is precious; they don't have time to wade through an overblown, wordy document to get to the point. Be concise. Use specific, concrete terms and include them in your documents. Avoid vagueness your writing; your readers will appreciate knowing exactly what you mean. Voice is the form a verb takes to indicate whether its subject acts or is acted upon. When the subject of a verb does something - that is, acts - the verb is in the active voice. When the subject of a verb receives the action - that is, is acted upon - the verb is in the passive voice. Active Voice: Eero Saarinen designed the Gateway Arch. Passive Voice: The Gateway Arch was designed by Eero Saarinen. The passive voice tends to focus attention on the action or on its receiver rather than on who is performing it. The receiver of the action is the subject of a passive sentence, so the actor fades into the background or is omitted. It makes sense to use the passive voice when you want to stress the action rather than the actor. The passive voice is also used when the identity of the actor is irrelevant or unknown: The beaker was filled with a saline solution.